Have you been indicted for a federal criminal offense in the Pittsburgh, Pennsylvania area? The Law Office of Robert E. Mielnicki stands ready to serve your legal needs. We know what your legal options are with respect to the federal laws that govern federal criminal cases. We are fully dedicated to helping our clients obtain a positive resolution to their case. 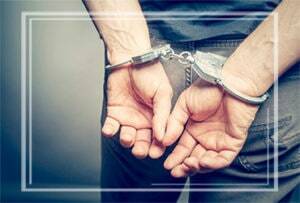 Our experienced and dedicated criminal attorneys can help you with your case by providing a rigorous defense on your behalf regarding the federal charges that have been brought against you. Since federal crimes are considered more serious than a majority of state crimes, the penalties and sentences are far greater and mostly entail large fines. However, you should keep in mind that no matter what federal crime you are being charged for, you have a legal right to request an attorney prior to answering the questions of federal agents or investigators. 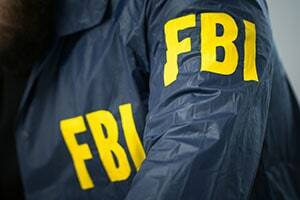 Contact an attorney immediately if being investigated for a federal crime. The Law office of Robert E. Mielnicki can investigate and analyze the details surrounding your criminal charges and provide you with the best legal options to move forward with your federal case. Our attorneys are dedicated, determined and dependable and completely understand what you are going through. You need a qualified and committed federal criminal attorney that can help you protect your rights. You can count on the Federal Criminal Attorneys of the Law Office of Robert E. Mielnicki. If you are reading this, then you are looking for a criminal attorney on the internet. If you have been indicted in Federal Court, then you need to seriously research who you are hiring to represent you on your criminal charges. DO NOT BASE YOUR DEICISION ON WHO HAS THE WEBSITE YOU LIKED THE BEST! Crimes that can result in a plea agreement for probation in state court can lead to years in prison, if charged in Federal Court. If you have been indicted in Federal Court, you can be certain that the United States Attorney has formed the opinion that it has a strong case against you. If you have been indicted in Federal Court, you will be prosecuted by a skilled prosecutor, with the full resources of the Federal Government – FBI, DEA, ATF, IRS and other agencies – working with him or her. You Need an Attorney With Experience Handling Criminal Cases in Federal Court! Pittsburgh Federal Criminal Attorney Robert E. Mielnicki has secured acquittals and substantially reduced sentences for multiple clients in Federal Court. He has argued before the Third Circuit Court of Appeals on multiple occasions. He is licensed to practice before the United States Supreme Court.